This week’s secret ingredient is Chicken. 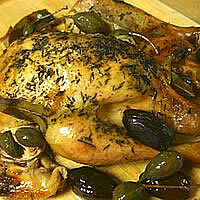 Chicken is a great source of protein and vitamin B6 plus it contains vitamin B3 or niacin. It also contains the minerals selenium and phosphorus. It’s typically available just about anywhere you go but be very particular about the quality you purchase. Look for organic, no hormones or antibiotics and free range. When you have a happy chicken you are going to have the best tasting chicken you’ve ever eaten. Look for good color and soft to the touch. You don’t want a hard piece of meat as it will not have as much flavor. Keep very cold in the refrigerator and use within a day or two of purchase. You can also freeze. Always look at the date it was packaged and the date it should be sold by. I also smell the package. It should not have any smell. If you can get it from a local organic free range farm you are in for a real treat. 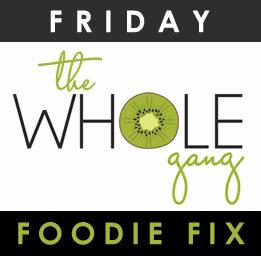 Next Week’s Secret Ingredient for Friday Foodie Fix is … Apples! Now it’s your turn to share your gluten free recipes with chicken below.